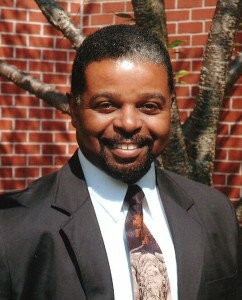 Dr. Bill Scott, former elementary and middle school principal, has classroom teaching experience ranging from kindergarten through fifth grade. Known for his high energy and infectious enthusiasm, Bill has helped teachers and schools develop programs for students’ success. He created a program for at-risk youth, “Do Your Best Don’t Settle for Less,” a presentation to promote positive self-esteem. Bill often presents to new teacher and administrative groups, sharing an inspiring yet practical message on the “nitty gritty” of being an educator. As an educator, trainer and instructional leader, Bill has taken the initiative to actively promote positive school climates which are conducive to student success. Specializing in Character Development and Positive Discipline, he has trained faculties and staffs throughout the United States. Bill earned a B.A. degree from Kent State University in Elementary Education, an M.A. degree from Georgia State University in Early Childhood Education, and an Ed.S. degree from Jacksonville State University in School Administration and a Doctorate degree from Samford University in Leadership and Learning. He has received numerous awards and recognition as an educator, which affords him the opportunity to speak on contemporary educational issues. As a result of his educational expertise, Bill was invited to Reykjavik, Iceland to speak to educators, parents and business leaders about American education. Dr. Scott has retired from public education after thirty years of service, twenty of those years as a school leader. His newest project is serving as the Vice-President of , Leadership At It’s Best, LLC, a student leadership program based out of Columbus, Ohio. He also volunteers as an advisor to college youth.